For twelve years, Bella Bathurst was deaf. She missed the punchlines and the jokes, avoided busy restaurants and raucous parties, and grew her hair long to cover hearing aids. But then, twelve years later, pioneering surgery on her ears gave her the chance to hear again. Sound is the extraordinary story of Bella's journey into deafness and back to hearing. 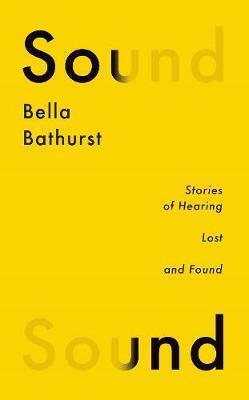 Mixing memoir with interviews with soldiers, sign language experts, musicians and mental health workers, Bella explores what it means to live with and without sound, and in the process uncovers a hidden world of sense and connection. If sight gives us the world, then hearing - or our ability to listen - gives us each other. Warm, wry and honest, this is a story not just for the one in six of us with hearing loss, but for everyone who ever listened.